With the rapid development of various networks and the growth in mobile communication devices, there is a growing demand to access content ubiquitously and to control information in a personalized way. 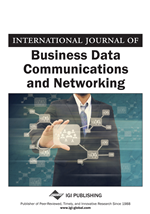 This paper introduces the adaptation approach adopted in a personalized communication redirection system, which routes communication from the sender to the recipient, whatever his or her location or the communication devices that he or she is currently using, and discusses the evaluation results of the system. Some of these ideas are being incorporated into a pervasive system under development in the Daidalos project.